The Huawei Honor smartphones are a series of unlocked Android devices, available for T-Mobile in the U.S. Many of the phones are budget models, though some, like the Honor 8, include high-end features. All of the smartphones in the series feature a custom version of Android; Huawei software that tweaks the operating system and features some pre-installed apps. 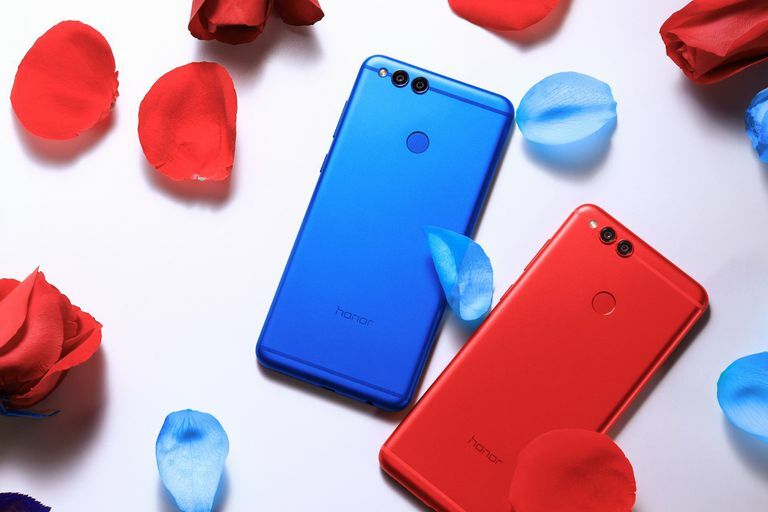 The Honor series is a lower cost alternative to pricey flagship Android smartphones, such as the Samsung Galaxy S and Google Pixel series. Not all carriers are carrying phones from Huawei, however. This situation could change, of course, but keep in mind all the phones listed below might not be available to buy in the United States or may only be available from some stores or carriers. Huawei owns less than 1 percent of the U.S. smartphone market, although it sells the second most popular Android in parts of Europe and outsells both Apple and Samsung in its native China. The Honor View 10 features a fingerprint scanner that responds to gesture controls for home, back, and recent apps, freeing up its large screen for the posting photos and playing games. It comes with a whopping 128 GB of storage and a microSD slot for even more room. The phone supports fast charging, but not wireless charging. The smartphone's dual camera features a twist; the 20-megapixel sensor is monochrome and thus only shoots in black and white. The 16-megapixel sensor shoots in color, and you can use both at once and combine the images for extra detail. There's no optical image stabilization to accommodate shaky hands. The Honor View 10 has a Face Unlock feature, and users can set it to wake up as soon as you pick it up so you can see your notifications and catch up on social media without delay. The phone is not water or dust resistant. A scaled-back version of the Honor 9 discussed below, the Honor 9 Lite trades glass for aluminum alloy, though the back of it is nearly glossy enough to use as a mirror. It also has a micro USB port rather than a USB-C port, which is quickly becoming standard on new phones. The Honor 9 Lite comes in 32 and 64 GB versions and has a memory card slot. The Huawei Honor 7X's most notable feature is its curved 5.9-inch screen with a barely-there bezel, which mimics Samsung's Galaxy Edge series. However, the device is the first Huawei phone to have a screen with an 18:9 aspect ratio, which causes a letterboxing effect in apps not optimized for this type of display. Like the 6X, the camera has dual sensors, but the top sensor gets an upgrade from 12 megapixels to 16. The second sensor enables the bokeh effect, which is when part of a photo is in focus, and the rest is blurred out. One thing that sets the 7X apart is that it has airbag-style protection built into the corners, which is supposed to keep it intact after a drop. The smartphone isn't water resistant, though. It shares a metal design with the 6X, but it's taller and narrower in size. It also shares a battery saving feature with the 6X that helps you conserve power by limiting background activity, optimizing apps, and turning off wireless networks. It doesn't support fast charging though, as it only has a micro USB input, not USB-C. It has a few customizable one-handed modes that let you adapt the screen to accommodate your hand, whatever the size. The 7X accepts microSD cards up to 256 GB. At CES 2018, Huawei announced a red version of the smartphone to coincide with Valentine's Day. The Honor 9 smartphone has a dual camera that can capture black and white photos and detailed color photos. The camera doesn't have optical image stabilization, which can mean blurry shots caused by unsteady hands. Design-wise, the phone has a glass back that can get slippery at times and the screen takes up nearly the entire width of the front. The Honor 9 has a headphone jack, microSD card slot, and comes in 64 and 128 GB configurations. Huawei adds some custom gestures to the operating system including knuckle gestures, but they're not easy to master. The Honor 6X, which launched in 2017, is the upgrade of the Honor 5X budget smartphone, though it shares some features with the higher-end Honor 8. While the 6X launched with Android Marshmallow, it eventually received the update to Nougat. Like the 5X, it has dual SIM card slots and accepts microSD cards up to 256 GB. It also has a fingerprint sensor, 3.5 mm audio jack, and a micro USB charging port. Like the Honor 8, it has a feature for one-handed use, called Mini Screen mode (One-Hand mode on the Honor 8) that resizes the screen. The camera has dual sensors: 12-megapixels on the top and a 2-megapixel sensor on the bottom. Unlike the 5X, the 6X supports fast charging (it comes with an adaptor) and has a built-in battery manager to save on power (just like the Honor 8). The Honor 8 smartphone, released in 2016, is a notable upgrade over the 5X, with premium features and a flashy design. The back of the smartphone is made up of 15-layers of glass designed to catch the light, making it a head-turner. Also, the rear camera has a dual 12-megapixel sensor, though the lack of optical image stabilization means that some shots turn out blurry. The smartphone has a built-in battery manager that helps you save power by limiting greedy apps, lowering screen resolution, and turning off background data. The fingerprint scanner can be programmed to take photos, show notifications, and other functions. Unlike the 5X, the Honor 8 supports NFC, dual-band Wi-Fi, and fast charging, which should get you from zero to 50 percent in thirty minutes. The Honor 8 also has a Gloves mode and a One-Hand mode, the latter of which resizes the screen. The smartphone has a USB-C charging port, audio jack, and a microSD slot that accepts cards up to 256 GB. The Honor 5X smartphone includes dual SIM slots and a microSD card slot. It features an all-metal build that gives it a high-end look, despite being a budget phone. The smartphone has a responsive fingerprint scanner is fast and responsive. However, Huawei's custom skin for Android—EMUI 3.1—causes the device to slow down, and can't compare with stock Android.